The holidays are fast approaching. Even with online shopping options making the task of buying gifts for everyone on your list a little bit easier, the holidays often turn into a frenzy. From juggling your ordinary responsibilities to holiday shopping, meal planning, decorating, getting your holiday wardrobe in order for the events of the season, and more, the holidays are an exciting and joyful, yet extremely busy, time of year. Still, the gifts must be purchased, wrapped, and placed with care under the tree — even for the moody teenagers on your gift-giving list. As many teens seem to change their likes and interests with the wind (or perhaps whatever is trending on Instagram that day), they can prove especially challenging when it comes to gift-giving. We’re here to take the weight off of your shoulders with some helpful tips for finding the best gifts for your teen and a few gift ideas that are sure to appeal to the teens on your list. Check out our complete collection of top picks for teens here. Parents often complain that their teenagers are self-centered and impulsive, and it turns out that there just might be some science behind that. In fact, the brain continues to develop until the mid-20s, so when it comes to decision-making and emotions, you can cut your teen a little slack with the understanding that their brain isn’t yet fully developed and matured. So, what type of Christmas gift would they appreciate that can also stand the test of time? This is a true conundrum as teens often appreciate items that are “hot” at the moment, but what’s in style one day may be scoffed at the next. As a parent, you might remember when Vanilla Ice was relevant, but no one else does. And because teens tend to live in their own little bubbles, understanding what they really like (and are likely to continue enjoying for at least the near future) can be challenging. If your teen has reached the stage where they start keeping their distance and putting up walls, the key is to ask questions. Ask them to describe a walk on the beach. What is the first thing they see or feel? Their answers can be quite telling. The next step is to try to put yourself in their shoes. Listen to their music, imagine wearing their clothing, try to recall high school and all the trials and tribulations of those years. Eat the foods they like — this is immersion and detective work. Doing so can help you to see the world through their eyes. Now, consider their interests. Is your teen a budding fashionista? Do they love makeup? Are they a techie or a gamer? Or are they into the arts? These and other questions will lead you to the perfect gift ideas for the teen on your holiday shopping list. If your teen is an enigma, a creative money gift may save your sanity. If you’re still feeling stuck and aren’t inclined to give cash as a gift, we’ve outlined a few ideas to give you some inspiration below — teen-tested, with universal appeal. These days, practically everyone has a smartphone, and that means always having a camera in your back pocket. And with social media platforms like Instagram playing a major role in the younger generation’s daily life today, taking the perfect selfie has become an art. One minute you’re taking a photo with the latest Snapchat filter, and then you realize that everyone else did the exact same thing. Teens may be inclined to follow the trends, but they also want to stand out — and that’s where this Universal Lens Kit comes in. For starters, it comes from Urban Outfitters, which is essentially the retail store for all things cool among teens. And, at less than $20, you don’t have to spend an arm and a leg to please your teen. 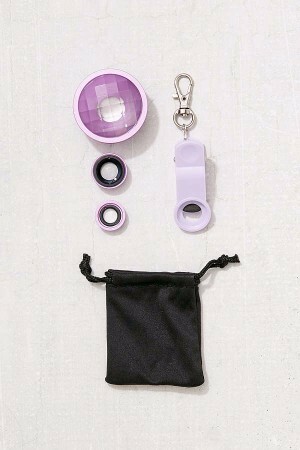 Unique and adorable, this lens kit comes with a fly-eye lens, a wide-angle lens, and a macro lens for versatile photos. All lenses can easily slide in and out of the accompanying clip, which is designed to fit on any smartphone. Then, your teen can take all types of photos and get truly creative. Who knows? They might even become a famous photographer one day. For now, they’ll certainly have a lot of fun with this kit. It goes without saying that teens love music. In fact, music is often the center of social events where teens gather, and listening to the right tunes can make or break a teen’s “cool” status in the social hierarchy. 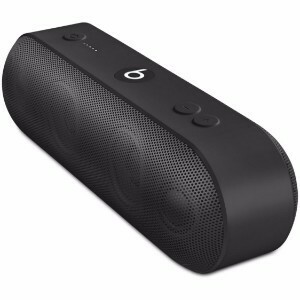 Give your teen the ability to show off their exceptional taste in music to their friends with this Beats Pill+ portable wireless speaker. It’s lightweight, sleek, and quite powerful. Your teen will love the fact that they can tote their very own sound system around — much like you might have done with your boombox back in the day. It’s wireless and has a 12-hour battery life, so they can enjoy a whole day of music whether at home or out and about without worrying about recharging. Plus, it can be used to charge smartphones and other mobile devices, and it can even make and receive calls. This gift goes back to the idea of being different. Everyone has traditional candy canes, but how many people have candy cane marshmallows? 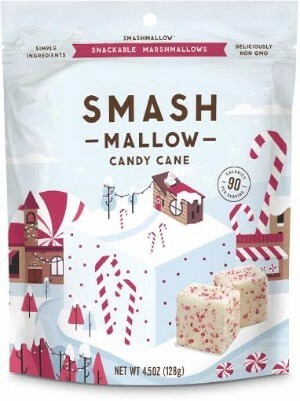 Whether your teen has a sweet tooth or you’re looking for a great stocking stuffer idea, Smash Mallow Candy Canes just might fit the bill. Give them their own stash of peppermint goodness encased in a pillow-y, fluffy marshmallow that melts in their mouth. Everyone seems to be obsessed with salt lamps these days, and that includes teens. Modern teens are much more in tune with health and wellness than previous generations. The salt lamp is rising in popularity for the natural health benefits it claims to provide. 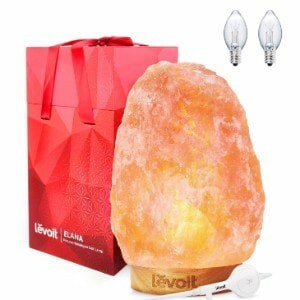 Salt lamps provide an aura that’s both soothing and calming (a welcome benefit for the teen who often storms off to their bedroom in a huff), and they’re believed to aid in improving sleep, increase levels of serotonin (those feel-good, happy brain chemicals), and even to aid in relieving allergy and asthma symptoms. Some even say they can help to reduce stress (and let’s face it, we could all use a little stress reduction during the holidays). These days, anyone can become famous if they have a large enough following on social media and are skilled at keeping their fans engaged with creative posts. Teens, of course, are often infatuated with celebrities of all forms — call it hero worship. Because many celebrities today are rising to stardom through social media popularity alone, many teens are focused on trying to create their own fame. They probably already have an Instagram account that they update regularly, and they may spend hours trying to capture the perfect selfie. 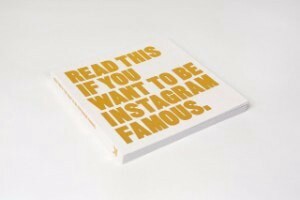 If that sounds like the teen on your holiday gift-giving list, this book, which offers tips on becoming Instagram-famous (#GOALS) is guaranteed to be a sure-fire hit. If you think you’re going to fail at Christmas this year, think again. Teens are in that awkward phase between childhood and adulthood; they’re too old for toys, but not quite mature enough for more adult-focused gifts, making them a challenge to shop for. But taking your teen’s personality and interests into account — or opting for a few teen-tested gifts that promise to be a smashing hit — will guarantee that you can pull off this holiday season with the same finesse you always have.